Two of twelve USAAF A-20 Havoc light bombers on a mission against Kokas (Western New guinea) in July of 1943. One bomber was hit by anti-aircraft fire after dropping its bombs, and plunged into the sea, killing both crew members. 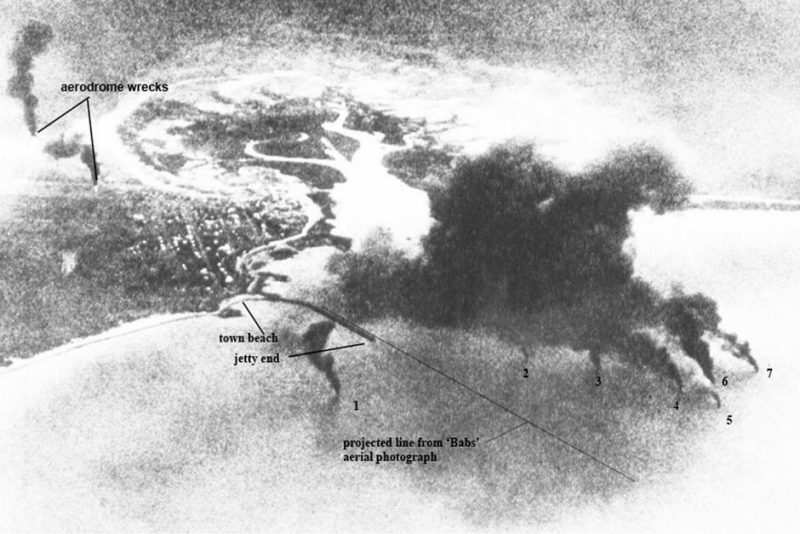 The low bomb runs were more accurate against shipping and harbor installations but became very risky. The Japanese had their highly effective 75 mm anti-aircraft guns, mostly well camouflaged, positioned in gun pits all around the harbors and airfields. War History Online Presents this Guest Blog from Author and Blogger Hans Wiesman. Check out his Blog and his Book. 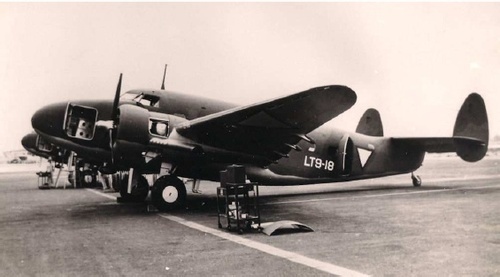 In this Dakota Hunter Blog, you will see photos and read stories of the air raids against the Japanese airfields, shipping, and harbors in the Dutch East Indies. This post highlights the assaults made by Australian and Dutch pilots of the 18 Squadron NEI (Netherlands East Indies). The Americans fought their heroic battles early in the Pacific War against Nippon on the Eastern and later the Northern side of what now is Papua New Guinea (PNG). The battle of the Coral Sea (early May 1942), the Solomon Islands, Wake Island, Tarawa; these names have risen to epic status and are all well known to the public. The US military pressure on the Japanese naval and occupational forces took the Theater of War in a North-Western direction to the Philippines. With that surge, most of the Indonesian Southern chain of Islands (Java, Bali, Lombok, Sumba , Flores, Timor) on the SW rim of the Pacific were left untouched for the rest of the War. Only the very strategic oil refinery harbors on the Eastern Borneo coast (Balikpapan, Tarakan) were subject to a combined Australian-American invasion/assault in July 1945 (See my Blog Australian American Invasion of Borneo). With the lower situated islands under the lee of the raging Pacific war, the Japanese airfields and harbors on Java and Timor remained operational throughout the war years 1942-43-44. It was felt as an outright menace for Australia, the country being a potential prey for (partial) invasion/ occupation by The Empire of the Rising Sun. 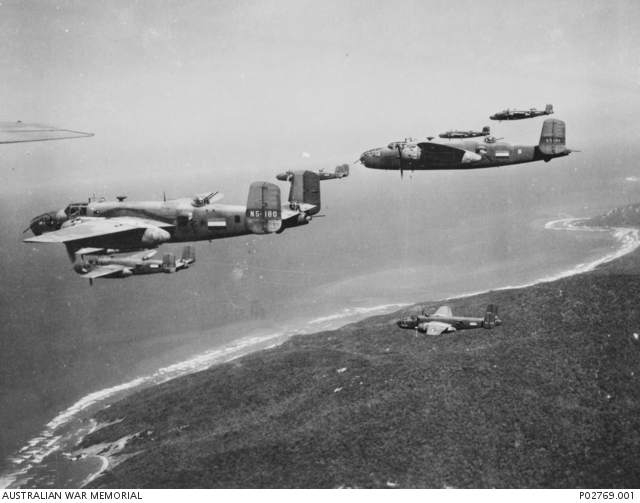 Japanese air raids on Darwin and later on Broome (February, early March 1942) were sufficient reason for the USAAF to supply B-25 Mitchell Bombers and fighters to the Royal Australian Air Force (RAAF) which had very limited means to stop an eventual invasion of Darwin or the Northern Territories. The almost forgotten war against Java and Timor started with only a handful of aircraft under RAAF command. With a limited number of Dutch ML/KNIL pilots who had barely escaped the Japanese invasion of Java in February 1942 and Australian ground crew, the 18nd Squadron NEI was installed on 4 April 1942 with its location in Canberra. Japanese Navy Zeros made a fighter sweep over eastern Java on February 2nd but the CW-21Bs based at Surabaya/Perak were not engaged. On the following day, there was a large Japanese raid. Twelve CW-21Bs were among the 25 Allied fighters scrambled. Zeros engaged the Allied fighters and claimed 33 fighters shot down including 15 “Curtiss-Wrights” or “Curtiss” fighters as distinguished from P-36s, P-40s, Buffaloes and other types that they also claimed. 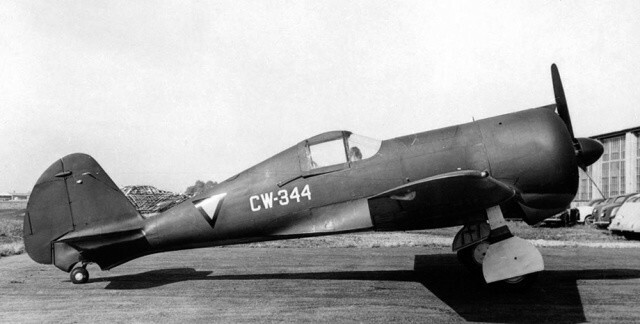 In addition to the CW-21Bs the only other Allied fighters involved were U.S. P-40s and Dutch Hawk 75As . That was a dramatic day for the Allied Fighters for sure. Photo depicting Roebuck Bay , Broome, W. Australia. 3 March 1942, after the Japanese attack. By the start of March, Japanese forces had occupied Koepang, on the island of Timor, and placed them within striking range of the Australian coast. 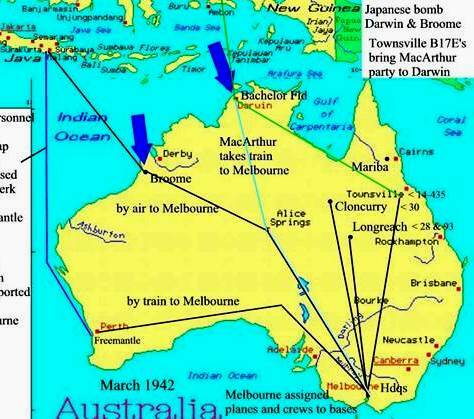 Reconnaissance flights on 2 March confirmed the presence of many Allied aircraft at Broome, and an attack was launched the next day. 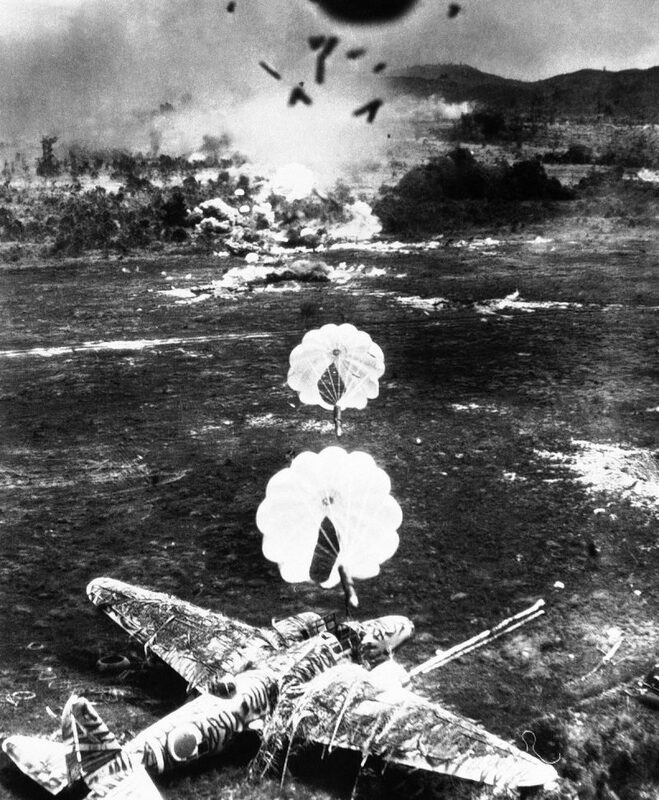 The Japanese Air Force was again capable of launching an air raid against Allied Aircraft with devastating losses The USAAF lost 2 B-17´s and 2 B-24 Liberators on the aerodrome (see photo in left corner). The US Navy lost 2 Catalina PBY’s, RAAF lost a Hudson A-16 and a Short Empire Flying boat A-18, while Qantas had also a Short Empire that was destroyed in the Bay. The RAF lost 2 Catalinas while the Dutch East Indies Air Force lost a Douglas DC-3 and a Lockheed Lodestar LT9. The worst disaster came with the loss of a major part of the Dutch flying boat fleet with 5 Dornier Do-24s and 4 Catalinas that were jam packed with refugees, mainly women and children who had barely escaped from Java during the previous days. Their escape turned into a nightmare, as they spent the night on board the aircraft and were mercilessly attacked the next morning by the strafing Zero fighters. A Dutch East Indies ML/KNIL Dornier Do-24. Five of them had made the escape flight to Australia just before the Japanese Army invaded Java. While Darwin was considered too close to the Japanese occupied islands and had become under attack, the more distant village of Broome seemed the ideal Safe Haven. That became a flight of fancy, all 22 aircraft moored in the bay and on the aerodrome were attacked and destroyed. Nine Mitsubishi Zero fighters under the control of an observation aircraft, departed Timor at 7.05 am on 3 March. They arrived over Roebuck Bay at 9.30 am, and promptly set about destroying the tempting 22 aircraft targets they found. As there were no Allied fighters in the area, the Japanese faced minimal opposition, and completed their tasks with ruthless efficiency. All flying boats were burned or sunk at their moorings. At the nearby airstrip, the Bombers and the Dutch DC-3 were sitting ducks, not a single operational aircraft was left in Broome when the Japanese departed at 10.30 am. 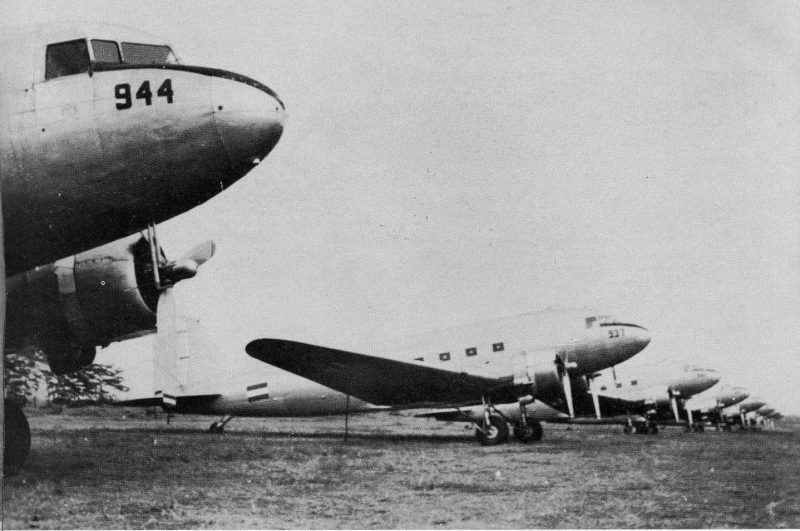 In the Broome air attack, 88 people died and the returning Zero Fighters had a final lucky encounter 50 miles north of Broome with a Dutch DC-3. Unaware of the air raid, the Dakota was attacked but managed to make a miraculous emergency landing on the beach. In that attack, 5 passengers died, the rest survived and a fortune of diamonds disappeared in the waves or in the pocket of a local beachcomber. See my Blog Diamond Dakota shot near Broome. “Line-up of first No. 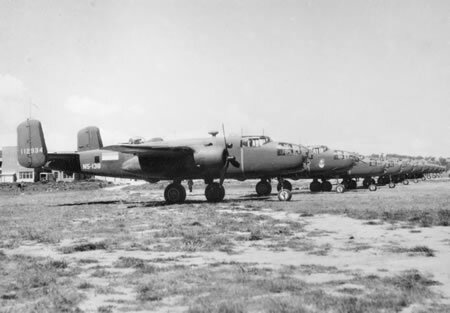 18 (NEI) Squadron B-25 Mitchell bombers at Canberra after arrival from the USA, before their departure for the Northern Territory . The Dutch flag markings and “N5” codes are clearly visible on the aircraft in the foreground. The Broome Raid was clearly another pivotal moment in the popular conception of the Japanese Military Potential. Big wheels were turnning slowly but 6 months after Pearl Harbor, the US Military were supplied with the first results of a re-tooling of their huge industrial complex into an unprecedented Production Machine of Military Hardware. The USAAF was now able and willing to supply Bombers for this neglected theater of war. By June 1942, the RAAF got their first batch of Douglas A-20 Havocs and B-25 Mitchells for attacking the Japanese harbors and airfields. Many Dutch pilots who had made their Flight to Freedom from NEI, were available to join the ranks of the RAAF. Most had left their families and homes in Java and were more than motivated to fight the Empire of the Rising Sun over their lost homeland. Tens of thousands of Dutch and Dutch-Indonesian families were separated from their fathers. Women and children were interned in many guarded camps all over Indonesia, the men and PoWs were locked up in other camps. Dutch No.18 (NEI) Squadron B-25 Mitchell bombers flying from Batchelor Airfield in 1944, on the way to attack Japanese harbors, shipping lines and occasionally, submarines. 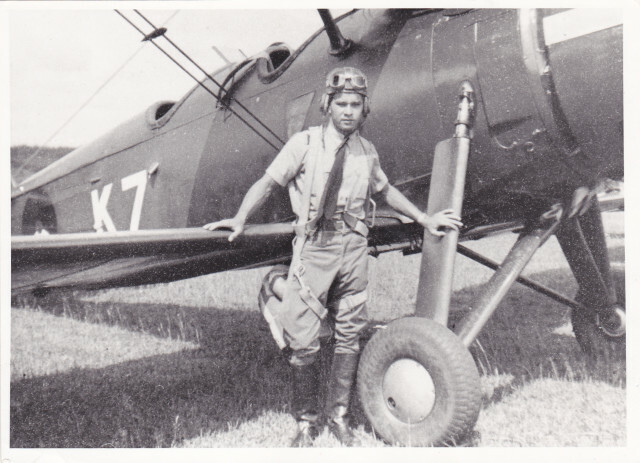 One of the prominent pilots of that No. 18 Squadron, was Lt. Ben Wetters, the father of my lifetime friend Ben. 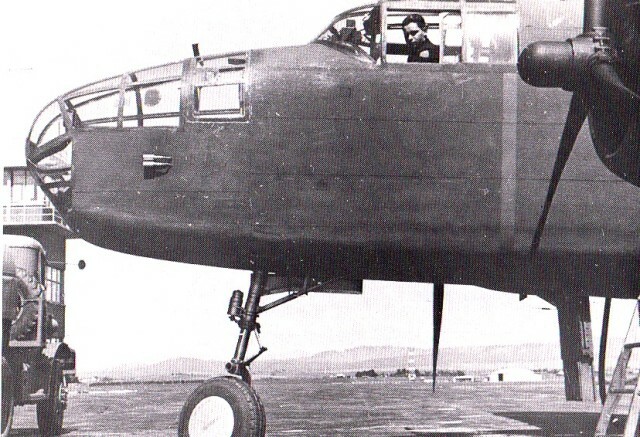 In 1942, Lt. Wetters had departed to California with another Dutch pilot for making the ferry flight of their first B-25 to Canberra, Australia, where Dutch pilots were further trained on the type. Lt. Ben Wetters wartime career as a patrol commander and pilot is decorated with many harrowing missions flown with exceptional performance and expertise, accomplished during the more than 3 years until the capitulation of Japan, on 15 August 1945. Their squadron moved from Darwin to Balikpapan, Borneo on 17 July 1945, one month before the end of the war and came under command of SEAC (South East Asia Command). The 18 (NEI) Squadron had accomplished 1900 flights in which 85 Japanese ships were destroyed. 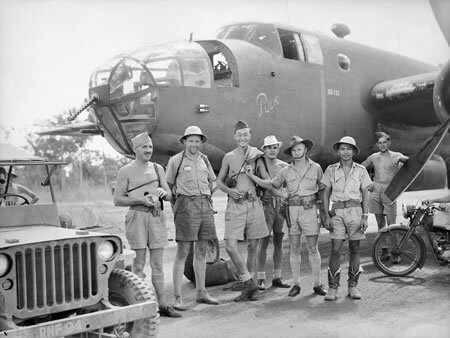 They attacked enemy airfields all over the archipelago and performed Propaganda Raids over Java, Borneo, Celebes etc. with the droppings of thousands of leaflets over the occupied territories, in order to inform the population about the Allied Progress in the Pacific War against Japan. In the war years the squadron had lost 95 crew members. Lt. Ben Wetters was distinguished twice with the Flying Cross Medal for exceptional valor. The first was for a daring action: he had landed his B-25 on a remote airstrip on occupied Java and had picked up a crew member that had survived an earlier crash in the jungle. In the second action, he flew out without armament (to save fuel) in his B-25 on a long reconnaissance flight in early 1945. His mission was to detect the locations and dimensions of the many scattered Internment camps and PoW camps and to photograph them. He realized that somewhere out there in one of those camps, his wife could be present, maybe even watching the impressive antics of his aircraft as he flashed low overhead. 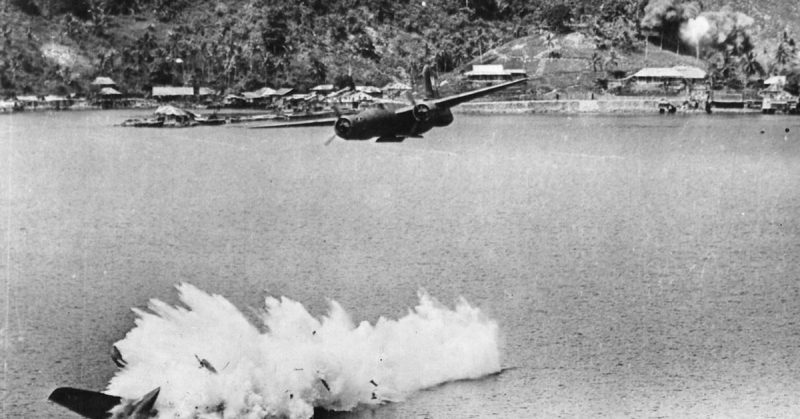 Once the camps were mapped for the planning of future rescue operations, the B-25’s started to drop leaflets, announcing the imminent collapse of the Empire. The message was clear: have patience, we are close by. Lt. Ben Wetters and his wife were reunited shortly after the war, and my friend Ben Jr. and his sister were born in 1948 and 1946. The family’s love story seemed set for a peaceful and happy future. But tragedy soon struck, a new war started in Indonesia. Freedom fighters of TNI(Tentara Nasional Indonesia, the National Army under Sukarno, fighting for Independence) were the new enemy of the Dutch East Indies Army. They were well armed with ammo and guns from the Japanese Army. They had surrendered but were left alone in a power vacuum for weeks before Allied troops arrived to disarm them. On 23 June 1948, Ben Sr. was with his own mother on a train from Batavia heading for Bandung. TNI soldiers ambushed the train with a tree over the rails and soon noticed Ben in his uniform. In the ensuing shooting incident, Ben was trying to defend himself with his pistol. From outside, bullets penetrated the train. In a heart-rending tragedy, Ben perished in the arms of his mother. It was a most bizarre twist of fate: where he had fought for years for the freedom of his beloved Java, the victory over Japan had sparked off yet another Freedom fight that clashed with what they had fought for. He died in that horrid incident at the age of 35, leaving behind his wife and their 2 babies. With her life devastated, she had no other option than to depart to Holland. My book The Dakota Hunter starts there where this episode ends. As a young kid, I came to Borneo in 1950 with my family. Soon after Indonesia was ‘liberated’ from the Dutch Colonial Rule, we landed in the Jungle where the Scars of the War were still omnipresent. My fascination for the WWII aircraft and history must have started right there and would flare up later in my life. My book is an engagingly written report of my passions and the adventures I encountered: 320 pages illustrated with 250 unique photos, all made during my 25 years of expeditions to the remote places where the last of the WW II built aircraft still struggle for survival. Meet the Dakota C-47 , the PBY-5 A Catalinas, Commandos C-46 and other vintage aircraft that still fly in remote places, the pilots, the owners, the Military and the War Lords, who use the planes for their trade and transport. To order this book, you can go directly to the Amazon page by clicking here at Ordering at Amazon The Dakota Hunter Book. For previews, 5-star reviews of my book The Dakota Hunter, scroll down on the Amazon page or come to my website and also view my earlier Blogs by clicking here at dc3dakotahunter.com. Click here Dakota Hunter Catalina Photo Album. Enjoy the reading of my Blogs about vintage aircraft & their war history, read one of my most successful Blogs here about the PBY-5 Catalina that I flew as a young kid over the Jungle and rivers of Borneo. Below you’ll see the jacket/ cover design of my book.